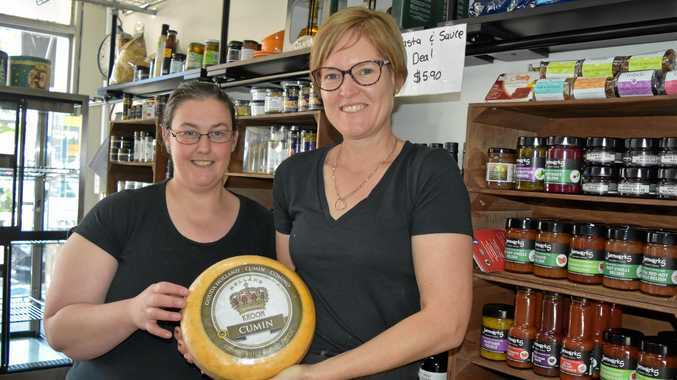 EIGHTEEN months ago Mark and Rosie Favero decided to offer shoppers on Palmerin St something different by creating a spin-off for their popular eatery, Belle Vue Cafe. Pickle and Must Delicatessen has built a loyal following of regular customers ever since, but now the couple are taking another plunge. The deli will be shutting temporarily on Friday before moving to a new location in Rose City Shoppingworld opposite Coles in mid-November. Mr Favero said the new venue would allow the deli to offer more ready-to-go foods. "We're expanding into rolls and salads and coffee. We're trying a few different things, like different roasts of coffee,” he said. Pickle and Must was an opportunity to try something new for the couple and the new location will up the ante again. "It's probably not where we saw ourselves going 18 months ago but I think it's definitely worth a shot,” Mr Favero said. The finishing touches for decor are still being put on the new store, but Mr Favero said customers could expect a newer look. But in terms of produce, people could expect similar lines with the addition of the ready-made meals, which would allow customers to try items on sale while in the shop. With Leslie Park just across the road, Mr Favero said it would also allow people to stock up for a picnic. But up to 10 seats will be added to the new space to allow people to eat in. Despite being across the road from a major supermarket, the plan is to keep prices competitive while maintaining a focus on local produce. The family-owned business aims to continue offering tailored service that has made them popular so far. "We have the freedom of buying a lot of stuff they (supermarkets) may not,” Mr Favero said. 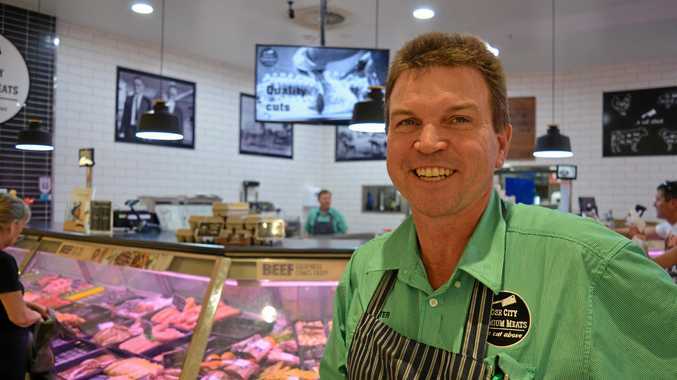 Pickle and Must Delicatessen will close on Palmerin St on Friday at 1pm, there will be 20 per cent discount on refrigerated non-meat lines until then.